Welding is a process of joining different materials together by applying heat and then cooling; thus, causing a fusion. It is not just a job or a career path but it is also a form of an art that teaches individuals to mend things. Though welding in the art forms can be traced back to the beginning of the Iron Age; but, it was revolutionized as a booming career path after the discovery of acetylene in the year 1836 by Sir Edmund Davy. Since then, there have been constant changes in the technological advancements towards welding and its techniques, due to which the scope of welding and its applications in various sectors has increased manifold. Welding can be classified into different types or methods and their choice is influenced by different factors such as time, labor, and cost. For instance; methods like shielded metal arc welding, which is popularly known as manual arc welding, is an extremely cost effective method, but requires good amount of labor and time. On the other hand, laser beam welding requires considerably lesser amount of labor and time, but is expensive compared to manual technique. Selection of welding process is also based on the volume of production. If the production volume is low, then manual welding techniques are preferred, while automatic techniques are used in case of higher production requirement. Shielded Metal Arc Welding is a procedure in which an individual uses a stick inorder to join different metal objects. In this method, a shield along with a helmet or glasses is used as a safety measure to protect the welders from damage. In this technique, shielding gas is used along with wire electrode, and then metal parts to be joined are heated. This method requires constant power source and is ideal in heavy industrial welding. It is a semi-automatic or automatic welding process, which can be executed with the help of specific machinery. It is one of the most effective and widely used methods due to its welding speed and portability feature. In this technique, a tungsten electrode is used in order to produce a weld. This technique also protects the metal from erosion or other atmospheric contamination, which in turn makes the welded area more strong and durable. The application of welding is not restricted to any industry in general, as it is used in almost all major industries. 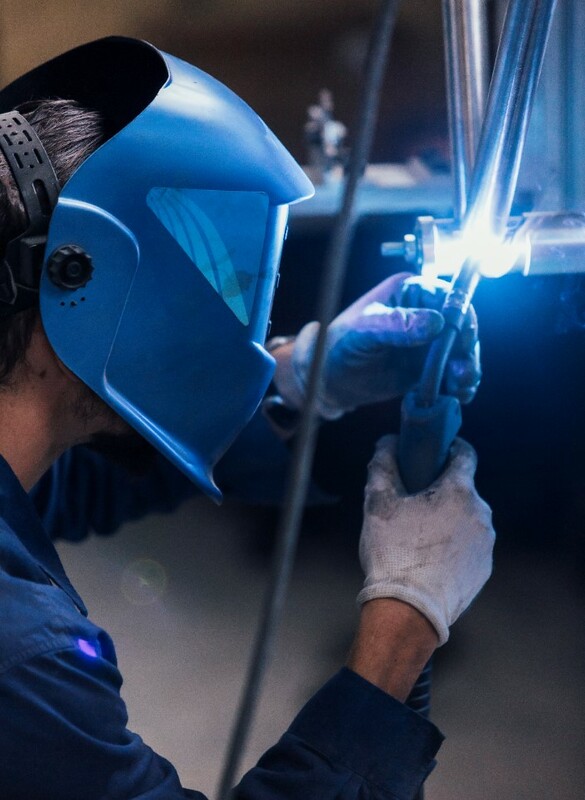 Right from grill fabrication in households to mending rockets and airplanes, welding is the most ideal procedure used in order to create strong joints between two different metals or objects. As the demand for welding is huge, there are lots of different job opportunities available for welders in different sectors from small to large, across different parts of the world. Though there is no requirement of any formal degree for individuals engaged in small scale welding jobs; but, welders possessing a degree in welding technology are more preferred in large scale industries. As welding is a process of joining different metals through application of different processes, so it is always recommended that a welder has basic knowledge of metallurgy. This helps them in understanding unique properties of different metals and their reactions to different welding techniques. However many people just try to get the best welder for a beginner and then use internet source to learn welding techniques by their own. This is a 2-year course, which can be enrolled after obtaining diploma. This course covers a lot of theory as well as on-site experience, which includes application of welding techniques; such as, shielded metal arc welding, oxy fuel welding, robotic welding, metallurgy, etc. On completion of this course, an individual will be well-versed with the basic techniques of welding along with the safety norms required in each technique. After completing the entire course, the individual can opt for employment as a professional welder, supervisor, or cost estimator. It is a 4-year engineering course, which can be taken after obtaining an associate degree in welding technology. The course covers pipe welding, inert gas welding technique, along with other modern techniques, which requires sound knowledge of Physics and Mathematics. Once the course is completed, individuals will be proficient in interpreting the blueprints and can seek employment as a project inspector. It can be done after obtaining a bachelors degree in welding industry or individuals possessing a degree in Industrial, Mechanical or Manufacturing Engineering can also apply for the course. The Masters Degree course covers important topics like welding designing and layout, cost technique evaluation, damage evaluation, and thermodynamics of welding, among others. After the completion of the course, an individual can search for a job as a testing inspector or an operations’ manager in a manufacturing plant. If someone is unable to complete any of the above-mentioned notable welding courses, the individual can still pursue welding as a career path. They can enroll in different vocational welding courses, which will introduce them to the basics of welding, different welding techniques, and behavior of different metals. Individuals can master one or more techniques of welding, depending on their choice. By completing these vocational courses, an individual can select various careers in welding and get a job as a welder, solderer, brazer, cutter, or machine operator in different industries or they can also choose to work as a private welder and work on assignment basis. They are professionals who are certified in a specific form of welding, and in some cases, more than one form of welding. The most common forms of welding techniques used by welders are; Stick Welding, MIG Welding, and TIG Welding. Welders are usually employed in automobile, power plant, aviation, and shipbuilding industries. Their job profile mainly consists of joining different metal beams and girders in order to build a strong and stable product. They are professionals who use automatic welding technique instead of traditional manual welding technique. There is a greater demand for machine welders as they possess knowledge of operating different industrial welding machinery. They are mainly employed in automated or semi-automated welding manufacturing industries as they are more cost-effective compared to manual welders. Soldering is a technique that can be used to join two different metals; but, unlike other techniques, in soldering an additional metal is melted inorder to form a coat on the metal parts to be joined. There is always a good demand for professional Solderers in electronic and electrical industry as the technique is widely used in those industries. Brazing is a technique that is used to coat a metal with an added particle inorder to increase its longevity and reduce damage due to wear and tear. This is used in plumbing in order to protect the pipes from rust and damage due to corrosion. Brazers are mainly employed in plumbing sector as well as construction sites. Cutting is done by using both manual as well as automatic technique. In manual technique, a Cutter uses an arc torch and an oxy gas cylinder inorder to divide a heavy metal piece into smaller pieces. In automatic cutting technique, a cutter works as a cutting machine operator who uses heavy machinery inorder to divide a heavy metal object into smaller fragments. The cutters are mainly employed in automobile sector, aviation sector, shipping industry, etc. 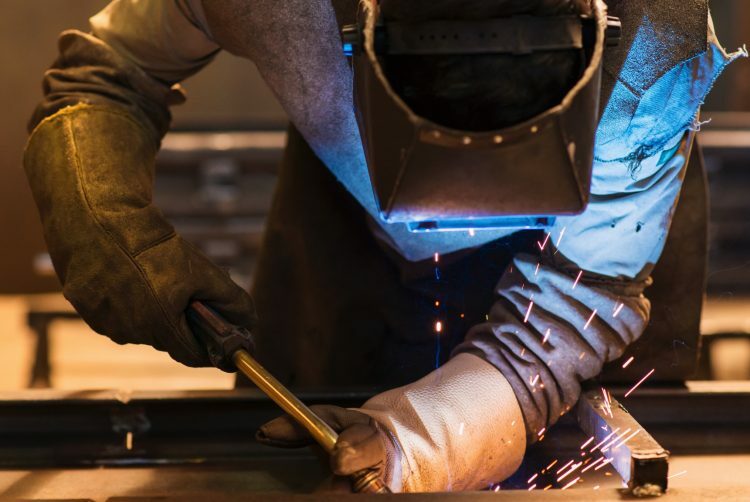 As all the welding techniques involve heating metals to their melting point; hence, there is always a chance of fire or uncontrolled explosion. Spark emitting from different welding instrument can cause fire, if safety norms are not followed. In addition to the fire hazard, the welding job also poses health hazard to the welders. Hydrogen Fluoride can cause mild reaction and irritation to the welders while prolong exposure to cadmium may cause fatal lung damage. Other health hazards include; occasional nausea, dizziness, headache, burns, irritation in eyes, etc. These hazards can be avoided and controlled if preventive actions are taken by the companies and the employees. In order to prevent fire accidents, care should be taken that all combustible waste materials should be disposed properly or kept far from the welding zones. Proper fire preventive equipments should be kept handy inorder to deal with fire accidents immediately. Health hazards can be prevented by construction of proper ventilated chambers for timely elimination of fumes. The entire body of the welder needs to be covered with fire protective gear in order to provide protection against occasional burns. In case of large organizations, a department or a group of individuals should be dedicated towards prevention and eradication of fire and health hazards. So, Is Welding A Good Career and How Much Do Welders Make? Welding is one of the most promising career options and due to the increasing dependence of different industries on welders; the average income of a welder is also good. According to a survey conducted by the Bureau of Labor Statistics in the year 2017, the average welder salary in U.S. is over $40,000, which is actually greater than the median annual wage of office and administrative employees. From this it can be concluded that welding is not just good, but an excellent career option due to ample number of employment opportunities that are available not only to skilled and semi-skilled laborers, but also to unskilled work force. This article is great! 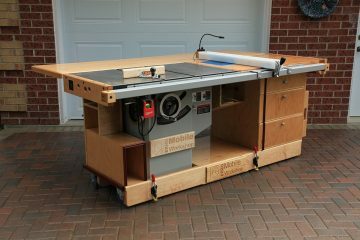 Very handy in terms of building trailers and very helpful for those welding at home to learn of all the different types of welding techniques available. Highly recommended for those pursuing a career or just a hobby at home involving welding. I think if you want to make quick and huge money, welder career is just the right choice. Also, it’s pleasant when you see a final goal after welding something.